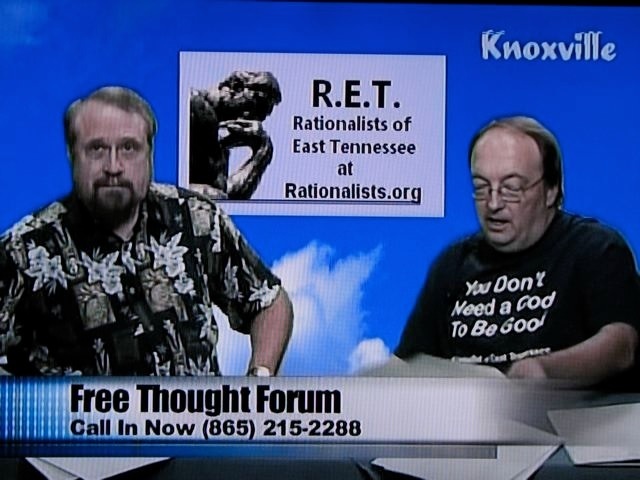 Welcome to the Rationalists of East Tennessee! To foster an environment suitable to free speech and exchange of ideas. To promote free inquiry into the nature of the universe and of human societies. To encourage critical thinking on all aspects of human life. To emphasize the importance of the scientific method. To explore ethical and intellectual alternatives to supernatural beliefs. To model humanistic ethics through service to the greater community. To provide a fellowship for people who share these purposes. If this sounds like you, click here to join us! We invite you to attend our meetings and find out more about us. Find out what we're doing next by browsing the Upcoming Events or by sending an email to info@rationalists.org. Click below to watch online.